An interdisciplinary and project-based artist, I work in sculpture, installation, participatory events, and print. The projects use repetitive handcraft and mimicry as a strategy for exploring the issues around the unseen labor and production that lies behind our many unconsidered everyday objects. Paper is the most recurrent element in these projects. Conceptually, I chose this material because in it’s transformation from a commonplace material into a precious art object; it retains a human and bodily investment of time. More honestly, I choose to work with paper because of a lifetime of confidence. It’s the material of a childhood spent cutting and building, with an almost 100% guarantee of no major loss to either bank account or limbs. The near invisibleness of my laborious projects, the utter lack of utility in either function or value, the absence of color, and the small, softly placed interventions are all a provocation to think about how much time and energy is invested in things we cannot, or choose not to see. A small object, a gesture, or a voice from the margins can reclaim a space, be a catalyst of thought, or at the very least, provide a bit of wonder and magic. Diana Cooper is a contemporary artist who lives and works in Brooklyn, New York. She is best known for her hybrid works combining drawing, painting, sculpture, photography, and installation. 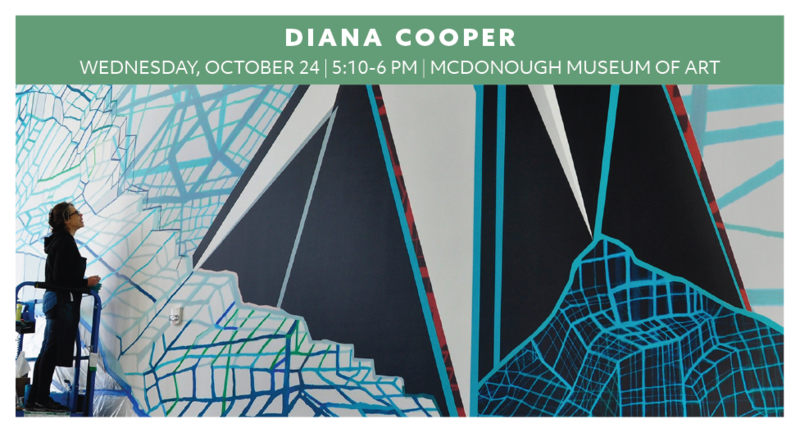 Her early works on paper and canvas were based on doodling, while later work became more three-dimensional and incorporated sculptural elements in large-scale works and installations that evoked images of systems and technology. In recent years, she has explored the potential of digital photography for capturing abstraction in the lived environment. Cooper has exhibited her work widely in the U.S., Europe, and China, and was the subject of a ten-year retrospective at the Museum of Contemporary Art in Cleveland in 2007. She is a former Rome Prize Fellow and has received grants and fellowships from the Guggenheim Foundation, Anonymous was a Woman, the Bogliasco Foundation, the Marie Sharpe Foundation, the Pollock-Krasner Foundation, New York Foundation for the Artist, Institute for Electronic Arts, and other organizations. 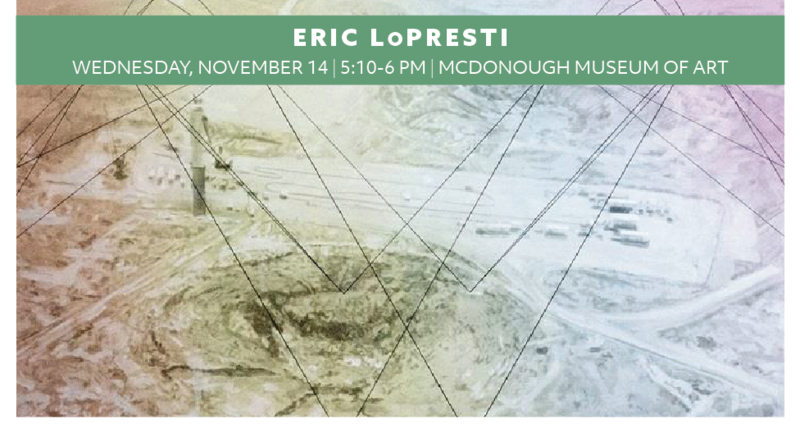 Eric LoPresti makes artwork that examines the imposition of technology upon the environment and the aftermath of the Cold War. His dramatic landscapes juxtapose abstract elements with representations of the vast deserts of the American west, exploring relationships between science, identity, history and conflict. Following in the painterly tradition of the apocalyptic sublime, LoPresti’s artistic practice explores how our lives are shaped by trauma and beauty. Angeles based new genre artist who works across mediums to reveal relationships between physical landscapes and the unseen forces that shape them, knitting together narratives about forgotten institutions, people, and communities. Her 2017 exhibitions included Super Natural, which first opened in 2014 at the National Centre for Contemporary Art in Moscow, Russia, and in 2017 was exhibited at Nepravilnyi Prikus, Simferopol. She exhibited Flores Para El Trueque initially with Mercadito &amp; Mentidero, Bogotá, Colombia, in 2013 and in 2017 with No Lugar – Arte Contemporáneo and La Huerta y La Maquina, Quito, Ecuador. Vanderpool&#39;s video work was included in the 2017 Festival M.A.R.S. | Music &amp; Art ReSound, Los Angeles. She also exhibited a video installation as part of Twenty/20 Film Series at Edward Cella Art+Architecture, Los Angeles. 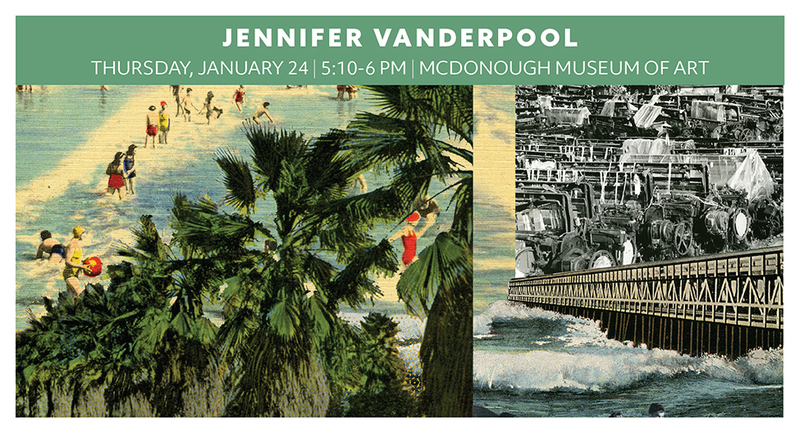 Vanderpool has spoken about her practice at Universiteit van Amsterdam; OVERGADEN: Institute for Contemporary Art, Copenhagen; Universitat Autònoma de Barcelona; Universidad de Los Andes, Bogotá. She has been awarded exhibition funding from the Andy Warhol Foundation for the Visual Arts, National Endowment for the Arts: Challenge America grant, National Endowment for the Arts: Art Works grant as well as artist awards from the Los Angeles Department of Cultural Affairs, Kunstrådet: Danish Arts Council, and Kulturrådet: Swedish Arts Council. In May 2018 her exhibition Garment Girl opens at Heritage Space in Hà Nộ, Vietnam. Virginia Commonwealth University. She holds a PhD in Art Education from the University of Georgia and has been awarded a Fulbright scholarship to study art, education and culture in Tokyo, Japan. She has presented her research nationally and internationally highlighting arts participation and the intersections of race, fine art and popular culture. Dr. Wilson has also presented workshops exploring creative thinking dispositions for Harvard Graduate School of Education’s Project Zero and has been an invited artist/researcher for Spelman College’s Museum of Art BLACK BOX series and The Belcourt Theater’s Science on Screen speaker series. 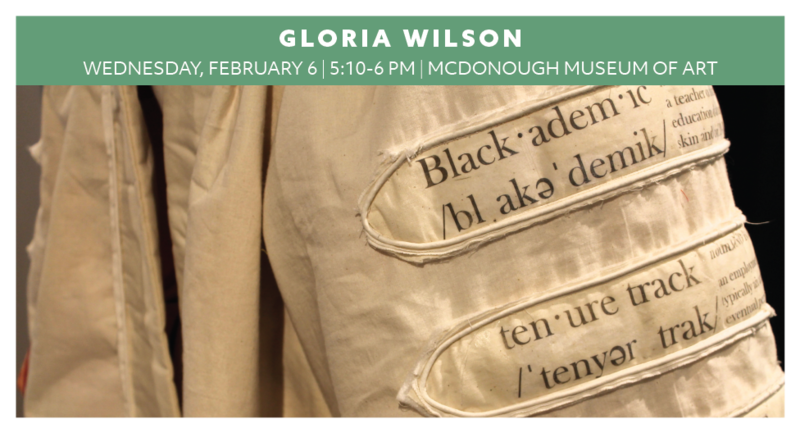 She has continued to further her studio and research through the act of garment-making as a way to introduce a point of view of a racialized academic identity and a way to express the nuanced underpinnings of this identity. Terminology associated with garment-making (pinning, marking, cutting, measuring, pressing and stitching) act as a guide to place her experience in social, cultural and historical context. Shaped through intersubjective dialogue between herself and the institutional environment of the academy, she use a personally constructed doctoral gown as a metaphor to illustrate the making of a racialized identity and academic embodiment. This work has been exhibited at Florida State University’s WBJ Art Gallery. 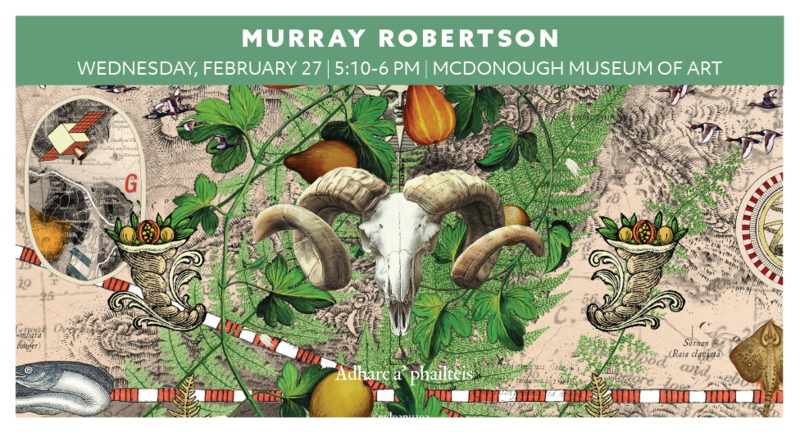 Robertson’s work is underpinned by inquiries into aspects of nature and the environment that lie at the core of many of our current concerns and scientific paradigms. Exploring and contrasting the significances of cultural perceptions and misconceptions, Robertson endeavours to interpret and create systems of representation via structured visual matrices that are realized as hopefully legible and meaningful patterns of knowledge. Imagery develops from a process of experience, documentation, and interpretation, employing a wide variety of techniques from traditional drawing and painting to 3D computer modeling. Diagrammatic representations and their related iconography has motivated recent works using sources including textbooks on natural history, early and contemporary printed maps, scientific/technological imagery and cultural icons. 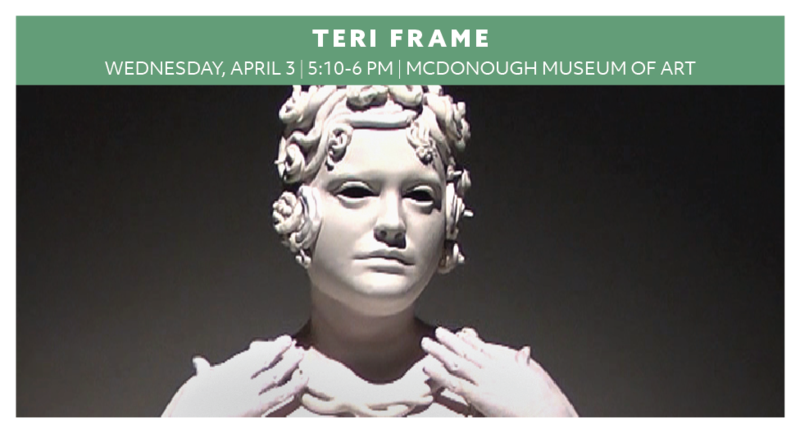 Teri Frame earned a BFA from the Kansas City Art Institute and an MFA from The Pennsylvania State University. Although she was trained as a ceramist, performance, video, photography, and printmaking have entered her practice and she continues to move among these genres. Frame has exhibited, lectured, and taught internationally and throughout the United States. 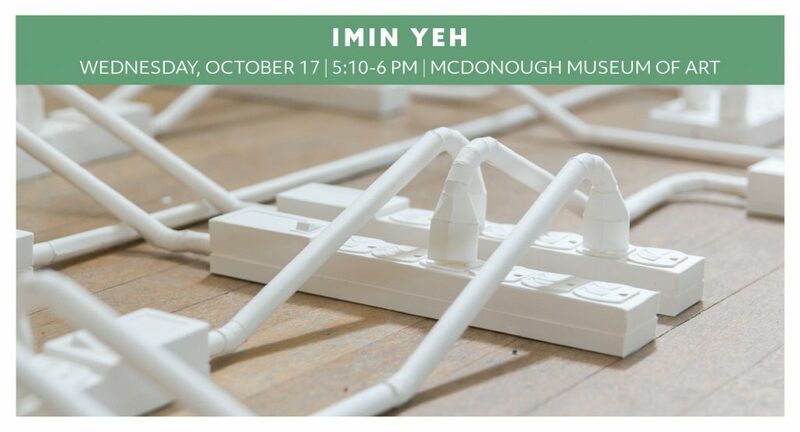 She has completed artist residencies at the Interlochen Arts Academy, The MacDowell Colony, PlatteForum, The Museum of Outdoor Arts, Emmanuel College, the Australian National University, and the Shangyu Celadon Modern International Ceramics Center in Shaoxing, China. Her work has been featured in Ceramics Monthly, Ceramics: Art and Perception, Monthly Ceramic Art Korea, and the Journal of Australian Ceramics. Frame is currently Assistant Professor of Ceramics at the University of Wisconsin-Whitewater.